At Foothills Cleaners, we are meticulous about cleaning your windows. 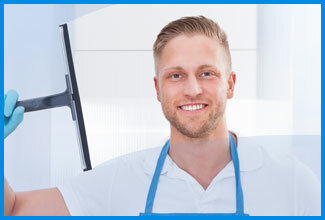 Because we clean windows inside and out, each of our window cleaners are bonded and insured. After we’re done, you can expect to see clearly why our window cleaners are proud of the work we do! Our Soft Wash Scrubbing system results speak for themselves. 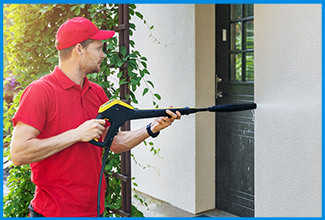 First we rinse your home on low pressure; Second, we apply our special cleaning formula to remove algae, bacteria and caked on dirt from your siding. Lastly, we rinse to remove the product and leave your siding sparkling clean. We pressure wash homes as an affordable option for removing the majority of dirt and grime that builds up on your siding. 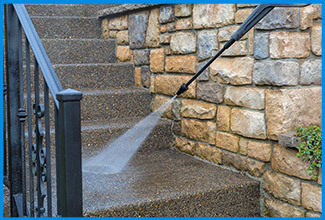 We also pressure wash driveways, garage floors, decks, patios, sheds, and more! 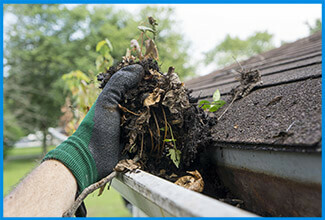 Your gutters have an important role to play in keeping your house safe from water damage. Clean gutters funnel water off your roof and safely into your perimeter drainage system. This keeps the water away from the foundation, so it doesn’t cause damage to your home. Our professional gutter cleaning service makes it easy to ensure that this important task is done safely.